Ever since seeing the French musical group “Les Primitifs de Futur” at the MOMA and watching Fay Lavsky take a blues solo playing the Theremin, I’ve been thinking about an old acquaintance of mine Steve Martin, and a documentary he did about the Theremin. I must say that I’ve seen one being played several times, and have heard them in the background in some movies, but I had never experienced anyone take a hot blues solo on one until Fay Lavsky, and it definitely grabbed my attention! Some of you might be going, “what’s a Theremin?” It’s an electronic musical instrument that is played without touch and was created in Russia by Leon Theremin in 1919. It sports two metal antennae that sense where the player’s hands are with one controlling pitch (the vertical antennae) and the other volume (the horizontal). The signals are then amplified and sent to a loudspeaker. The instrument has an eerie sound, but one you would recognize from its use in scary movies (The Day the Earth Stood Still) and horror flicks and other avant-garde and popular musical pieces. In the 1920’s Leon Theremin came to the United States to promote his new instrument. He taught several musicians how to play and tried to bring his invention into the public eye. In 1938 he was forced to leave the U.S. and return to Russia leaving family and friends, a wife, and a studio. He was put in a Soviet prison camp. He later worked for the KGB and designed other electrical objects for them including “the bug.” He was out of the public eye for 50 years after having a very public presence in NYC and the world, leaving everyone to wonder where he had been and what had happened to this musical pioneer. In 1993 Steve Martin made the documentary film “Theremin: An Electronic Odyssey,” which garnered the prestigious Filmmakers Trophy at the 1994 Sundance Film Festival. After meeting Steve in the late 90’s I immediately went out and rented the movie. The film delves into the history of the man who created the Theremin, the instrument itself, and its most famous players including the musical-prodigy Clara Rockmore who had been a violinist until a problem with her hands forced her to give up the violin. She was a student of Theremin’s and went on to become the world’s greatest player. The movie also features interviews with music industry legends such as Robert Moog, who built Theremin’s before synthesizers, Todd Rundgren, and Brian Wilson as well as interviews with its founder Leon Theremin. It is an interesting film definitely worth seeing so check your local video store, Amazon, or Netflix. Below is a video of Clara Rockmore playing “The Swan” (Saint-Saëns) on Theremin, accompanied on piano by her sister, Nadia Reisenberg. To catch a rare glimpse of the world’s greatest Theremin player simply cut and paste the link below into your browser. Welcome To The New Cracks In Sidewalks! 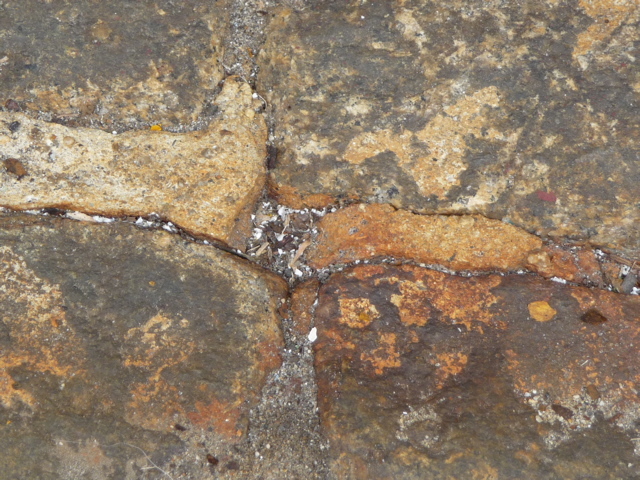 CRACKS IN SIDEWALKS is another way of looking at the world. It’s about being open to the beauty that surrounds us and training your eye to see it in unexpected places. None of the photos taken have been staged. They appear simply as they did the day I passed them on the street. The store features 5x7 Art Cards taken from the original framed prints, all of which are photos of cracks in sidewalks. Select prints from the galleries are available matted and framed upon request. Commissions are welcome. This is where the collections of my favorite photos reside. They have been broken down into categories for easier viewing or can be seen as one large group show.